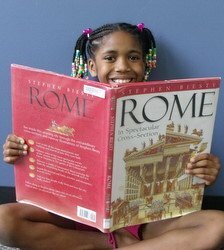 Here are my best homeschool curriculum picks for the 2010-2011 school year. I will be teaching a 15yog, 13yob, 12yob, 10yob, 8yog, and our youngest son, Darius, who is five and has completed homeschool kindergarten. I am flexible and always willing to make improvements in our homeschool program especially if I find that something just isn't working. We have used a variety of home school resources as well as several types of teaching styles over the years. I have finally decided that these are the materials that will help us accomplish our goals for our children. I never continue using a resource just because I spent money on it already. Those resources become the items that go into my storage tote for the next used book sale. I will also supplement with great Usborne and Kingfisher books, living books borrowed during our weekly library visits, and any other good resources I discover during the year. We will continue with some of the same resources from last year because they work! But, for a list of what we will use look below. Do you have a contribution to our discussion of the best homeschool curriculum choices? Share it with us here.